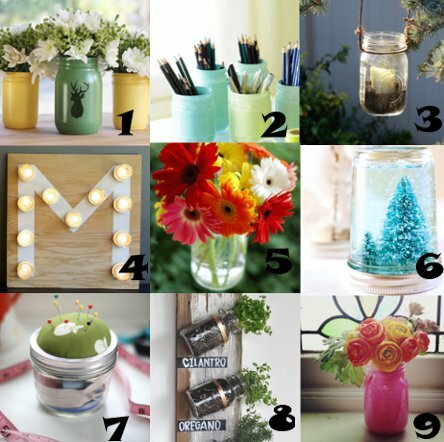 Mason jar crafts seem to be everywhere lately, and it’s easy to see why! People are looking for ways to reduce, reuse and recycle items in order to save money and add personal touches to their space. Mason jars are easy to clean, provide ample storage space and don’t go out of style! Next time you head toward your recycle bin with an empty glass jar, stop yourself and set it aside for your next craft project. If you’re looking for a down home, country feel, mason jars are the perfect craft materials. Use them to hold candles on your table or hang some from your porch. You can even place flowers inside a mason jar and display them on a special occasion! Mason jars aren’t just for country folk, though. You can cover them in decorative paper or fabric to create a modern look or fill them with liquid for an out-of-the-box snow globe. Who knew a glass jar could be so practical? You can also use mason jars for more complicated projects. Autumn is coming up, which means one thing… it’s candy corn season! Fill a upcycled mason jar with candy corn and create your own Candy Corn Jar Lamp. This project is perfect for autumn and can be displayed on Halloween, too! 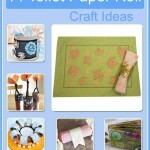 You can even decorate the lampshade to make the project one-of-a-kind. Mason jars can also help you save money when it comes time to throw a party. For your next baby shower or birthday party, make Pretty Pink Mason Jar Cups for your guests to enjoy. Fill the cups with a sweet drink and hand them out at the end of the night. You can let people take home your creation as a party favor. If you’re looking for an inexpensive and versatile craft supply, you can’t go wrong with mason jars. Keep a stash handy in case inspiration strikes – you never know what you might come up with! 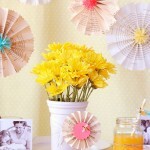 Mason jars are a very versatile craft tool to keep handy! I first had the idea to use mason jars as serving glasses when my Great Aunt Bernice handed me a jar filled with homemade pickles and made me promise to return the jar upon my next visit. The fact that she re-used the jars for her pickle making got me thinking about re-using jars as serving glasses for gatherings because I like the traditional look and thickness of the glass. I always get comments about my jar glasses, people love them and they sip even better with straws. It’s easy to decorate them for holidays too. I, of course, had to obtain my own jars because Great Aunt Bernice keeps a count on hers! Mason jars are my go-to decor piece! I’m a huge fan of the candy corn jar lamp–that’s something I’ll have to try out this fall. I am a huge fan of mason jars because of both their practicality and versatility. In order to provide a decorative touch to my desk, I house my pencils, pens, and paper clips in mason jars decorated with fun fabrics. I love the idea of repurposing a practical item and turning it into something beautiful and functional. I also plan on serving various beverages in mason jars for my next family gathering. My guests will surely love this unexpected, creative detail. Mason jars are such a versatile tool for any craft lover. Common household items such as these are perfect for, well, everything. I personally like the idea of turning these jars into rustic-looking candle holders or lanterns. With autumn nearly upon us, it’s a perfect weekend project with kids! Thanks for sharing my tutorial!! Is there anything more creatively versatile than the humble Mason Jar??? Thanks for the comment, Frannie! While we ask you not to copy our post, we’d be delighted if you linked to it on your blog and shared it! Thanks for reading!